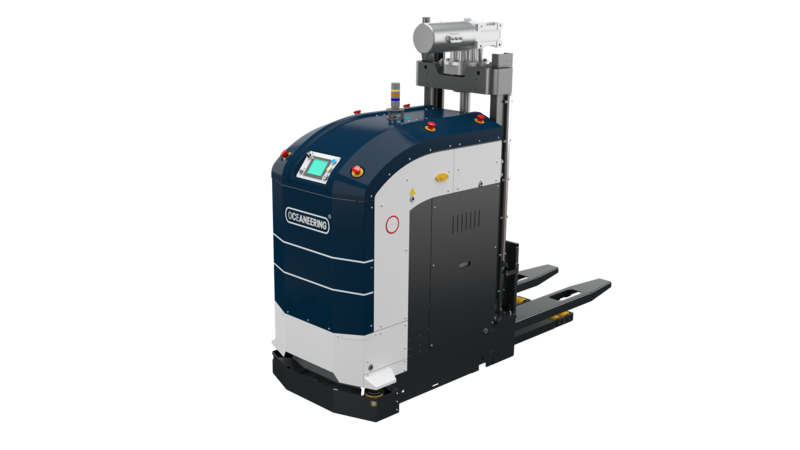 For decades, automated guided vehicle (AGV) technology has delivered materials handling and logistics solutions to the world's largest and most sophisticated automotive companies. Automotive manufacturers have embraced the lean principles of advanced logistics and manufacturing solutions. Fork truck free (FTF) initiatives and operations are the standard in North America and Europe since 2015. Automotive companies and their Tier 1 suppliers recognize the need for partnership in the AGV industry. The collaborative relationship between the companies' manufacturing engineers and AGV subject matter experts are essential in implementing turnkey systems which increase productivity and flexibility, and safely reduce operating costs. AGVs ensure continuity and performance for the duration of their life cycles. These mission critical operations impact material flow and production scheduling. Often running three shifts, automotive manufacturers and their top suppliers require access to highly trained technicians who understand the intricacies of lean logistic solutions. These experts bring 24/7 knowledge to understand the cost-efficiencies of AGV automation. FTF initiatives allow for the streamlining of operations in the automotive and other heavy-duty industrial sectors. The result is the ability to consistently and predictably keep operations functioning at optimal levels. Due to this infrastructure support, AGVs can be evaluated as part of an Overall Equipment Effectiveness (OEE) metric to calculate the overall operational utilization of facility, time, and material. The Automotive industry was quick to recognize and harness the power of AGVs to maintain a competitive advantage in a truly globalized market. Automotive manufacturers require state-of-the-art automated processes with non-stop delivery of parts and supplies to production lines. FTF optimizes material flow by ensuring the proper delivery of parts at the right time with the right product on the production line. Conventional fork trucks are labor intensive, dangerous, and fail to utilize best-practice automation technology. Cumulatively AGVs substantially improve output, throughput, and continuous process improvement in the FTF operation. CompactMover AGVs are designed for increased maneuverability to transport lighter loads less than approximately 4,400 pounds (2,000 kg) including pallets, boxes, and totes. In the automotive sector which frequently uses kitting, standardized material handling options include low- to high-lift forks, specialized conveyors and shuttle units, as well as the option to use the vehicles for towing operations. A compact AGV is a multi-load vehicle with a minimum footprint that, in some cases, can handle up to four loads at a time. CompactMover AGVs include a modular base platform that provides a cost-effective, efficiently manufactured, and easy-to-integrate vehicle. With standardized material handling options including high-lift forks, specialized conveyors, shuttle units, and the option to use the vehicles for towing operations, the AGVs deliver the automation versatility needed to suit a variety of automotive applications. Controlled by a supervisory software technology, AGVs provide a responsive and fully integrated logistics solution throughout the supply chain. These AGVs are often purchased and/or leased by automotive manufacturers as a standardized configuration designed to meet industry challenges. 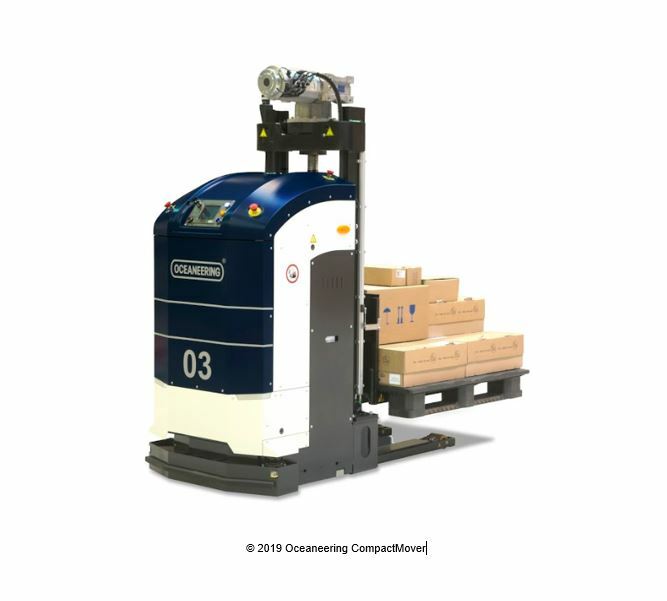 These are the "backbone" AGVs which provide automotive customers with a safe and efficient logistics solution, delivering optimized transportation of goods and eliminating incidents on the work floor. A proprietary supervisory software system controls fleet and traffic management, including various logistics functions and order fulfillment. It also defines vehicle traffic rules, collects AGV performance data, and optimizes battery consumption and charging requirements. These big data, Industrial Internet of Things (IIoT) information points, ensure a healthy system offering continuous, around-the-clock logistics activity. MaxMover AGVs are designed for industrial, multi-load handling applications. These AGVs can transport loads of all sizes with capacity for heavy loads up to 15,500 pounds. (7,000 kg). Standardized material handling options include high-lift forks, specialized single or double conveyor units, lifting deck configurations, as well as the option to use the vehicles for towing operations. The most popular of these types of AGVs are automated forklifts available as single-load or dual-load vehicles. MaxMove AGVs are adaptable and flexible. Standard front and rear modular options provide optimized configurability, with steering and excellent maneuverability. They incorporate pre-engineered material handling options. Both CompactMover and MaxMover AGVs for automotive manufacturers are available in 3-wheel and dual drive configurations enabling sideways (crab) driving to ensure accurate positioning with low tolerances at load pickup and drop points. Additionally, both have standard designs which include counterbalance forklift, fork over leg, straddle leg forklift, conveyor, double conveyor, tugger, and lift deck. The modular bases of both the CompactMover and MaxMover reduce training and maintenance, which allows for the use of standard tools and parts across the AGV fleet. UniMover AGVs are designed to operate across a broad range of logistics applications including complex automotive assembly, mission-critical hospital deliveries, and simple towing or conveying operations handling loads up to 6,600 pounds (3,000 kg). Standardized material handling options include lifting tables, stationary platforms, tuggers, and conveyor configurations. UniMover tunneling AGVs position themselves beneath a load, lift the load, and transport the load to its intended location. Because of the very complex nature of automotive manufacturing AGV vehicles on the plant floor must feature a wide range of standard modules that are configurable to meet automotive customers' automation needs. This variety of options ensures that the AGVs are efficiently delivering tailored solutions that require reduced training time and decreased acquisition and maintenance costs while increasing production. OCEANEERING is a registered trademark of Oceaneering International, Inc.; MaxMover is a trademark of Oceaneering International, Inc.; CompactMover is a trademark of Oceaneering International, Inc.; UniMover is a trademark of Oceaneering International, Inc.
Carlos Millan is the Manager of Business Development and responsible for the all the Americas under Oceaneering International, Inc.'s Automated Guided Vehicle (AGV) division. Oceaneering will be exhibiting at ProMat 2019 in Chicago at Booth S252....... See More Details.